The new ‘17 Ocea Jigger has made an extreme make-over compared to the beloved ‘11Ocea Jigger. This flagship of jigging reels comes with all exciting features like the Infinity Drive and Micro Module Gear, which results in 60% reduction of the reeling resistance compared to the old model and a very smooth retrieve. The newly designed handle is especially designed to provide a firm grip and the ability to give extra power without losing grip. 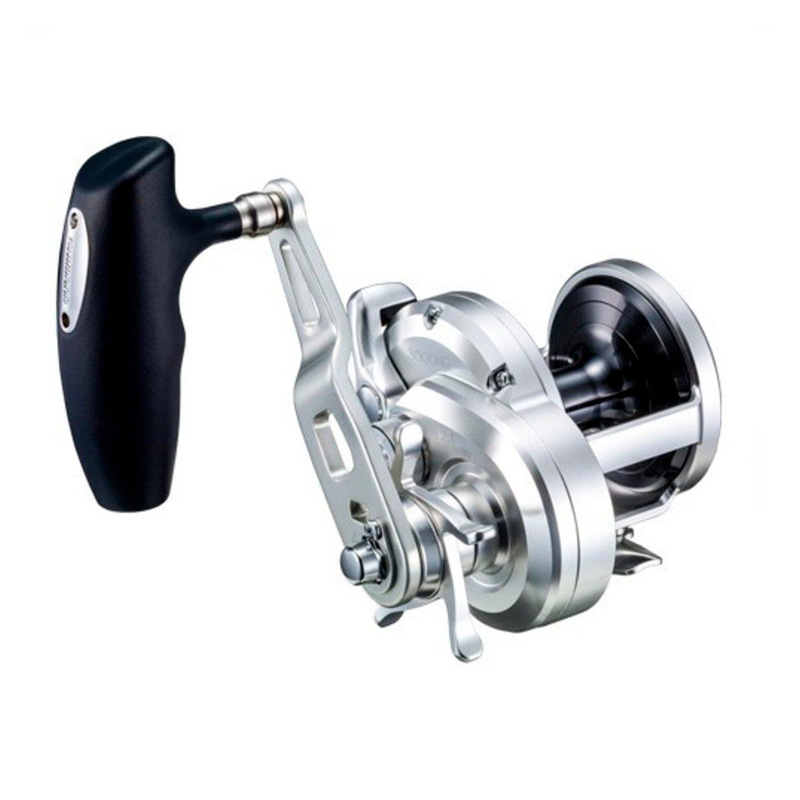 The combination of the Hagane body and S-compact body results in an immensely strong and though lightweight (595g) jigging reel. Due to the 8 Shielded A-RB ball bearings and X-Protect it is highly salt water resistible and durable. The ‘17 Ocea jigger will be available in two different versions; the PG version with 5,1:1 gearing (96cm/crank) and the HG version with 6;2:1 gearing (117cm/crank) and both in left or right handed version. With a drag of 10kg, fighting the biggest fish is not a problem anymore. So taking all the new features into account, the new ‘17 Ocea Jigger is just the must-have for all serious anglers who love to go out jigging on the ocean. When targeting big amberjack or dentex in Italy or massive cod or halibut in the northern of Norway, the ‘17 Ocea Jigger is the partner you can fully rely on, day in day out.